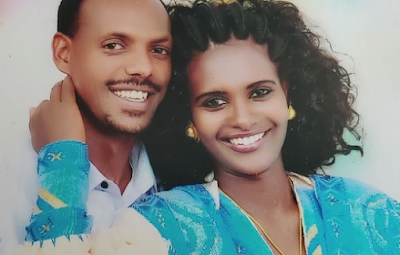 Doctors, teachers, and complete strangers from across the Bay Area, California, USA, are rallying behind Atsade Nigese of Ethiopia, who survived a brutal act of domestic violence when she says her husband poured acid all over her face and body. Nigese’s husband still lives in Ethiopia and could not be reached for comment. Nigese’s story was shared on social media. Back in the Bay Area, Menbere Aklilu of Richmond said she wanted to help. 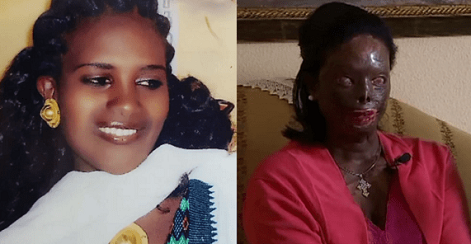 Two years ago, she helped another Ethiopian woman, who had also been burned by acid, something she said her ex-fiance had thrown on her. 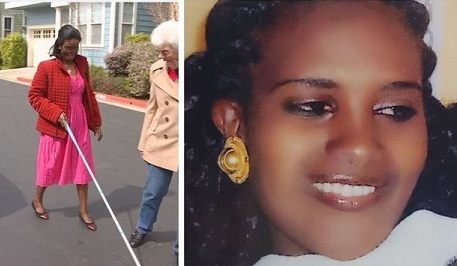 In her short time living in the Bay Area, Nigese is slowly learning to become independent once again. She’s learned to get around using a cane. Three hours a day, five days a week, Nigese learns Braille and English, with volunteers at her side. 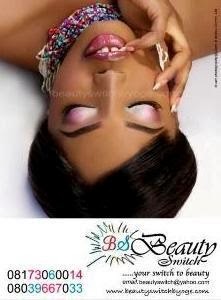 On top of that, doctors from the University of California at San Francisco are donating their time and talents to reconstruct her ears, eyelids nose and mouth. “The entire community stands up for her and I’m blessed for that,” Aklilu said.